Don’t hole up in your house. Get out, mingle and meet people. Get your spouse out, too. If you have kids, even better. Don’t make a big deal about what you did previously. Play it down. Find something in the community that interests you and get involved. If you have a specialty or skill, offer it up gratis. Get involved with local sports. Everyone goes to games, a great way to meet people. Offer to write or report for the local paper. Take a class or teach a class. Losing a job you love, selling your beautiful home in a vibrant city, and leaving your friends behind to move your family to an entirely different environment can be traumatic. It could also be the best decision you ever made. His in-laws introduced them to friendly and interesting people and a few eccentric ones. 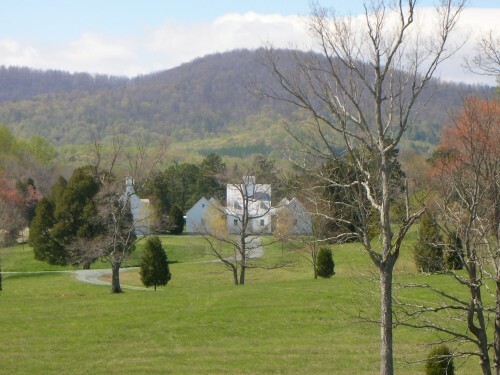 They explored the area including nearby Charlottesville, a world-class city. He was sold. They settled in Keswick in 1993. 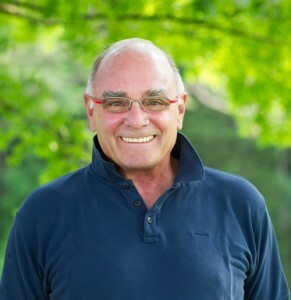 He developed a political campaign for a woman running for Albemarle County supervisor. She won against all odds on a platform to control development and preserve the natural beauty and historic character of the region. Later he joined a conservation organization, the PEC, serving on the board for 12 years, six as the chairman. He became a witty and popular columnist for the monthly Keswick Life. Anne, with her colorful artistry, became a sought-after flower arranger. She made videos of her work, placed them on her website, and began making presentations. Before long, she was speaking once a month up and down the Eastern Seaboard. Their son became a high school football and lacrosse star. Their daughter excelled in academics and acted in school plays. Among their circle of friends was best-selling author John Grisham, who advised Tony on how to write novels. In addition to his personal story, “I’m not from the South” includes local history dating back to Thomas Jefferson. His book has plenty of anecdotes, stories and gossip about the characters who define Keswick, and he delights in describing some unusual traditions and fun social events. 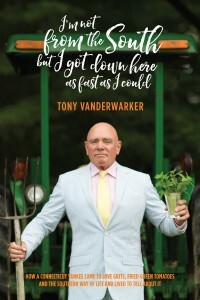 Tony conveys how much grace and joy there is in a simpler way of life, but tells a series of hysterical stories about country living—confronting snakes and yard-destroying moles, his failed attempt to rid the roads of reoccurring potholes, the elaborate steps needed to prepare for stormy power outages, and problems building his dream house. He is candid and self-effacing in relating a number of common annoyances, such as his claustrophobic experience in a MRI tube, trying to find something in Anne’s purse that contains more items than a drugstore, Anne’s neat-freak obsession, and dealing with the physical and mental consequences of aging. He concludes by saying that when you move to an area unfamiliar to you and your family, you need to make friends and get involved.